In developing countries, water and wastewater companies are among the biggest consumers of energy due to their high levels of water and energy loss. Many companies operate with outdated and energy-intensive conditioning technologies and pumps, while opportunities of energy and nutrient recovery from waste water remain unused. In the next five years, Thailand, Mexico and Peru will participate as partner countries in a new global project, which is being implemented by GIZ on behalf of the German Federal Ministry for the Environment, Nature Conservation, Building and Nuclear Safety (BMUB). 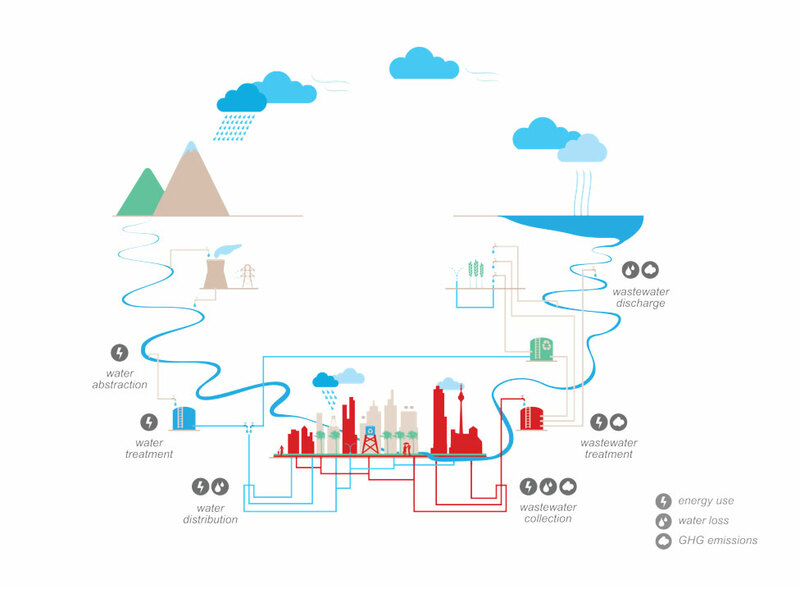 The project aims to introduce emission reducing technologies in order to improve the carbon dioxide balance of water and wastewater companies while maintaining at least constant levels of performance. Technologies such as water loss reduction, energy efficient pumps, biogas production from wastewater, and fertilizer production from wastewater are introduced in pilot companies. By way of knowledge exchange between the pilot companies, national and regional associations, as well as an international web-based knowledge platform, carbon dioxide reducing technologies are being enhanced and disseminated. The project experiences are being made available to the international expert community through publications and events of the implementing partner International Water Association (IWA). In addition to the results that are achieved in the partner countries, the project thus facilitates the international enhancement of climate protection approaches for water and wastewater companies.